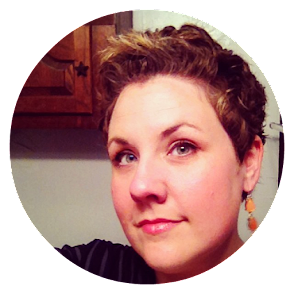 Estella's Revenge: #AMonthofFaves: The Post-Christmas Post! Hello there, friends! Sorry I missed posting the day after Christmas. I was right on track posting every day for #AMonthofFaves until then, but with the boy home from his dad's and the eating/gifting hangover, I just couldn't swing it. Today is your choice of book discussion or review, and I'm pretty sure we're linking up at Traveling with T. At this point my days are all messed up! I'm back today with the post-Christmas post! 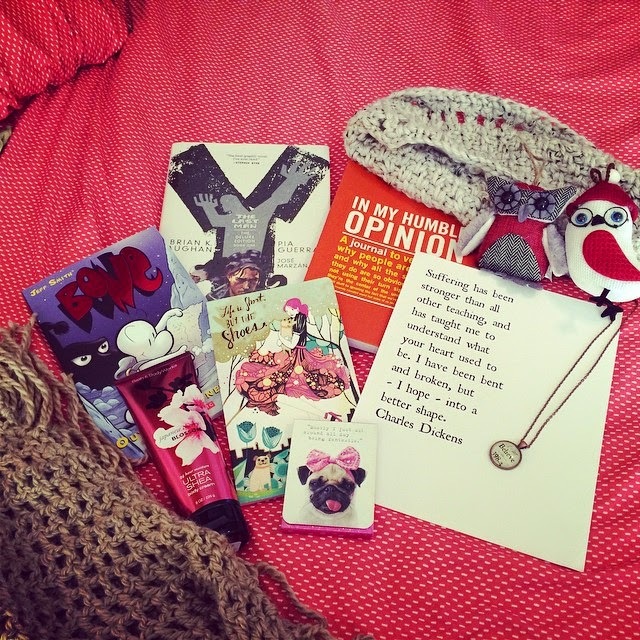 I didn't think it'd be a very bookish Christmas since I've been a little mum on the book front with my family this year. I've been much more vocal about clothes and makeup, but of course Heather the wonder-bestie came through in the books department. "I Still Believe in 398.2" necklace. That's the dewey decimal number for folk and fairy tales! As usual, Heather TOTALLY freaking gets me. I love everything in this package, and I'm already wearing, using, slathering on all of it! My husband and my mom really hooked me up! 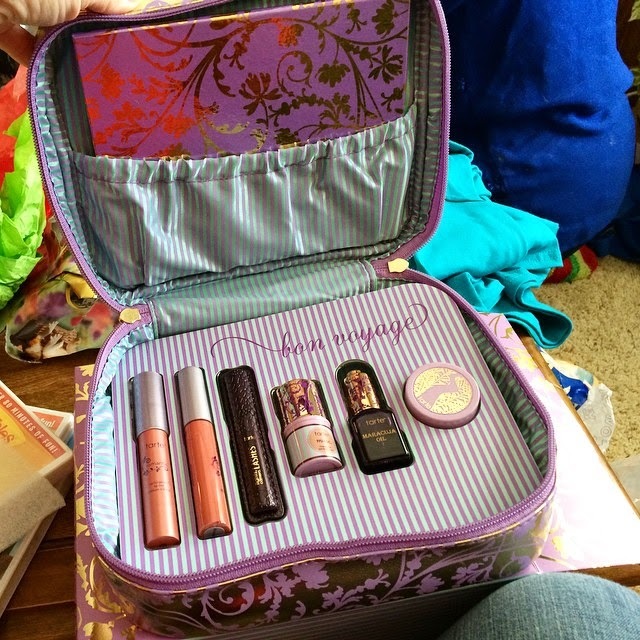 My mom got me a makeup brush set, a funky necklace, and this Tarte Cosmetics "Bon Voyage" set! It includes a beautiful eyeshadow palette, two lip colors, mascara, cheek tint, maracuja oil, and a nice finishing powder. I'd been lusting after this A LOT, so I'm thrilled that she ran with it. I also sent a not-subtle hint (the link) to my husband about the J. 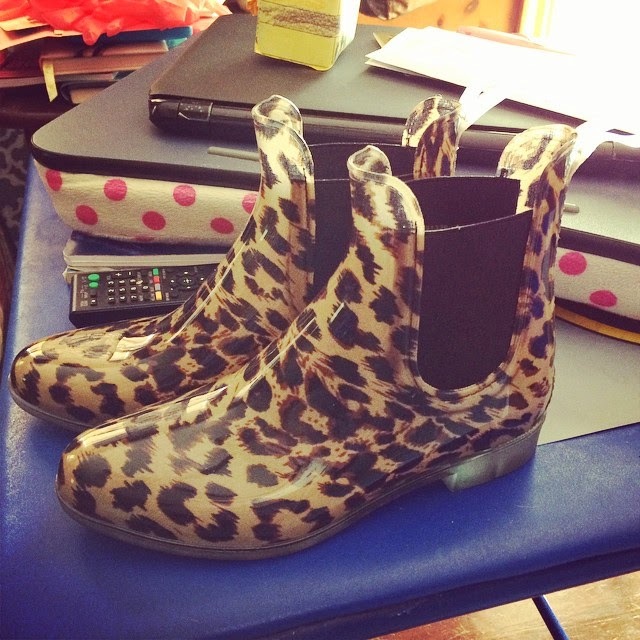 Crew Chelsea leopard rain boots because they were on super sale at the time. I don't have any shoes that are good for rainy weather, and I need more closed-toe warm shoes in my life. These puppies, with some fuzzy socks, are absolute heaven. I wore them yesterday, and they are absolutely perfect! Greyson's dad and step-mom also got me a beautiful wooden owl hanger. I think I'm going to put it in my office at work for my coat and an extra blazer I keep around in case someone important drops in. There were also plenty of chocolate and gifted edible goodies flying around. Whew! It was a very merry, very busy Christmas! We spent Saturday taking down the tree, packing up the ornaments, and decluttering the house while Greyson was at a gift exchange party with his cousins. We're get-it-done people, so we never let the decor linger too long after the fact. We also spent some time purging Greyson's old toys, reorganizing the new stuff, and generally cleaning up around the house. There's more to be done in the coming week, but for now it's nice to sit back, chill out, and catch up on blogging. See you tomorrow as we work on rounding out #AMonthofFaves this week! Love those boots!! I need to get some for our rainy weather. My snow boots are fine for winter, but I don't have anything to wear once we hit the rainy days of springer. I'm in the mood to declutter, as well. I usually feel this way right about now and I plan to empty out our upstairs' closets over the course of January. Time to get rid of some unworn/out-dated clothes! Glad to hear you had such a great Christams! I love, love those boots and totally agree on the need for more close-toed warm footwear. Those sound like a perfect solution. Three cheers for the fabulous husband! There's my tattoo...Heather the Wonder-Bestie! Love ya and those fabulous booties. After Christmas is a great time to purge. Much easier to let go of the old things when you have so many nice new things!